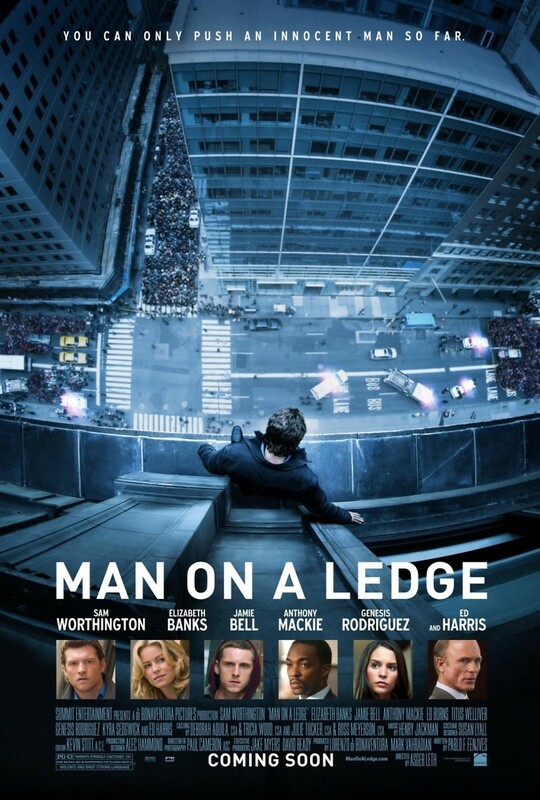 Man on a Ledge DVD and Blu-ray release date was set for May 29, 2012. A man walks into a hotel and promptly walks out onto the ledge of his room. He threatens to jump unless he can talk with Detective Lydia Mercer, who is a police negotiator. When Detective Mercer starts to talk to the man, it turns out he is a former cop, Nick Cassidy. Cassidy has been in prison for the last two years for the crime of stealing a diamond. He has been falsely accused of the crime, and he has escaped from prison and walked out on the ledge to try to clear his name. However, while Cassidy is on the ledge, it turns out that his brother Joey Cassidy and his girlfriend Angie are actually stealing the diamond that Nick was original sent to prison for stealing. The situation rapidly starts to spin out of control, and it seems that the only way for Nick to escape the mess he is in may be for him to actually jump from the ledge. Detective Mercer has to solve the mystery and keep Nick from jumping.